Top: Ralph Lauren Polo // Skirt: J. Crew // Shoes: Marshalls (old) // Bag: Marley Lilly // Necklace: Marley Lilly // Lipstick: Nars "Jungle Red"
What better way to kick off the Christmas season than with a holiday outfit post? This look is probably one of my favorites that I've worn on my blog cause it's just so girly and unique. Right when I saw this skirt at J.Crew I knew I had to have it! It's actually 30% off right now with the code "Holiday". 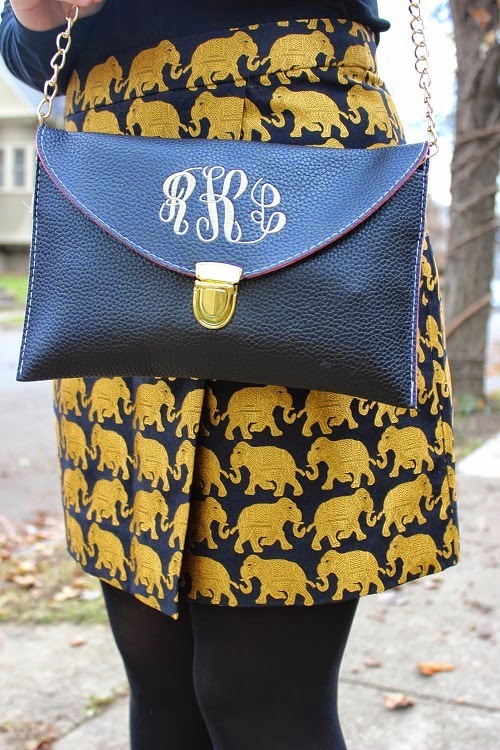 Have you seen a skirt with elephants on it before cause I sure haven't haha. Although it may seem random to have that specific animal on clothing, in some cultures elephants are known for being a symbol of good luck. As for the eye-catching necklace, it's actually from Marley Lilly! For Cyber Monday, they're giving this necklace for free with every $50 purchase. It also comes with a matching set of earrings that I unfortunately forgot to take a picture of. No coupon code is required for this deal so head on over to Marleylilly.com and get your shop on! Adorable skirt!!!! Such a beautiful holiday look. I totally love this skirt. I have seen it on a few other girls and it's so chic. You look amazing. 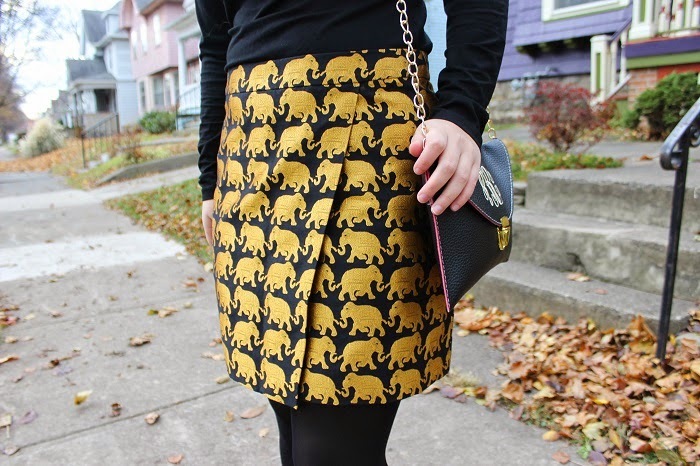 Such a fun print on that skirt, babe! Ohhh I love this! I saw the skirt at JCrew and thought it was fabulous. Paired with the black is perfect for this time of year. So festive! This skirt is gorgeous! Now I am really tempted to go out and buy it! I love how you styled it too! I have seen this skirt everywhere from Pinterest to Instagram but I just LOVE how you styled it! 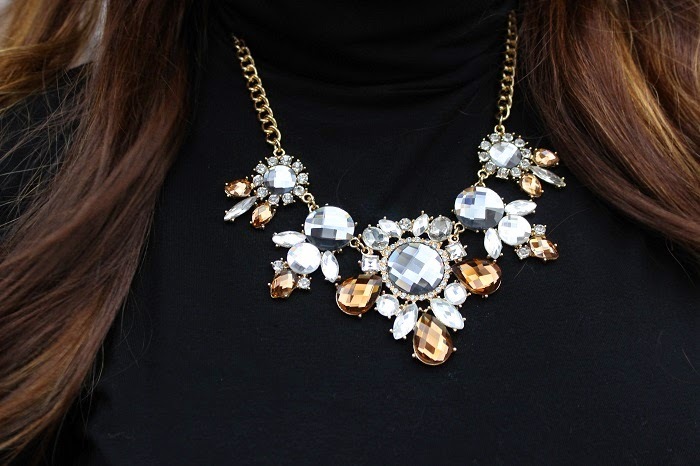 So chic for this holiday season! I love this look! It's so cute! !